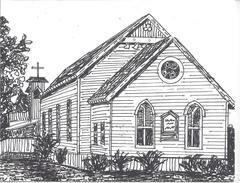 In 1867 a small number of people gathered in homes at Eden Plain; later worship services were held in a schoolhouse. Then in 1884 for the sum of $5 in gold coin, the trustees purchased the property at Maple and Second Streets for the purpose of building a place of worship. The sanctuary was constructed during 1885. The social hall was added in 1937, but sadly burned down later that same year. When the social hall was rebuilt, the partially damaged sanctuary also was improved. Twenty years later in 1958 the new education wing was built. The church you see today has had very few major changes over the decades and is now known as Brentwood Community United Methodist Church. Over sixty pastors have served this church over the past 150 years. In September 2017 we are celebrating our sesquicentennial anniversary! As the longest continuous Christian ministry in this community, we continue to welcome all who come through our doors.